Aaryan Foods is the most promising name in offering quality products including peeled garlic cloves. With our trained personnel, we are able to maintain high standards in term of quality and delivery of the finest range of peeled garlic cloves, so as to meet client’s satisfaction. Our offered range is fresh, clean, mud-free, rotten-free, regular in shape and is available with no broken ones. Our garlic cloves are obtained from producers, who cultivate with advanced agricultural practices. These peeled garlic cloves are of high nutritional value, rich aroma and free from pesticides. We also practice the best packaging procedure and prompt delivery of the products. 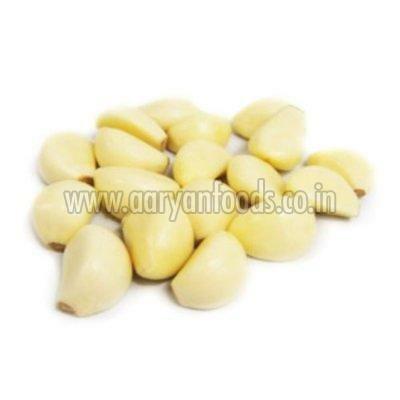 Get premium quality peeled garlic cloves from us at market leading price.